Mostly Books bookshop in Abingdon : Come and Meet Hugless Douglas! Come and Meet Hugless Douglas! 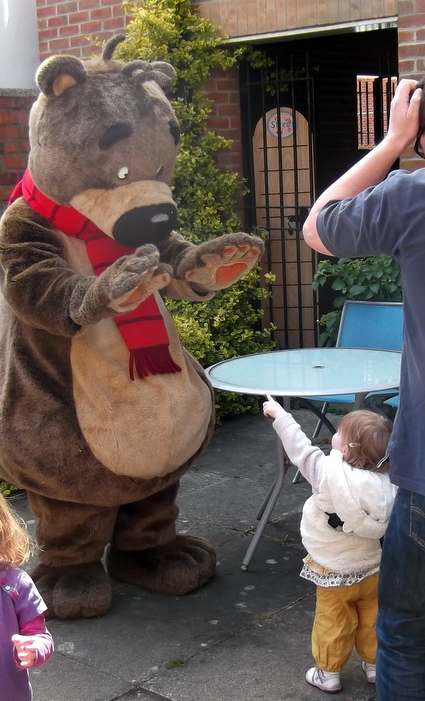 On Tuesday 2 August, we're inviting you to come along and meet the big bear with the big heart - Hugless Douglas! The last time Douglas visited Mostly Books we had a fantastic time, with scorching weather and hot hugs in the garden. This time round, Douglas gets involved with some baking, and as usual, things don't got entirely to plan. 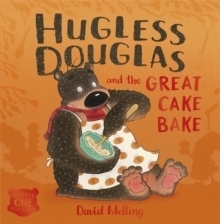 In 'Hugless Douglas and the Great Cake Bake' the sheep are baking cakes and Douglas can't wait to try them. However, he's sure that food without honey just isn't yummy. Can he ever be tempted to try something new? There will be cupcake-making activities from the beginning of August - and on the day itself, Hugless will be making a special guest appearance. There will also be a book signing from award-winning author and illustrator (and creator of Hugless Douglas) David Melling. There is no need to book - but if you'd like more details of the event, including more details on timings closer to the day, please email us. David Melling is an author who is an incredible talent of whom Abingdon can be particularly proud. Over ten years, David has taught children how to draw Hugless Douglas, told us about his writing life, produced masterpieces live over the Internet sat as a 'live window display' while he has worked and hosted a goblins party in Abingdon Library. We'd love to see you on August 2 in our courtyard garden - and celebrate one of most endearing picture book characters!